In this seminar, we’ll continue to develop tools for exploring the habit structures that have formed our relationship to death. Our intention will be to shift the way we think about our own death — for our own peace of mind and heart, and for the benefit of our relationships with those we love, and those we don’t love. Fully grasping that our life will end can actually infuse our life with love and peace and grace. How do we make this happen? Come and see! This seminar is less a “part two” than a continuation along the path of exploration — a path one can start on at any time. Whether you attended the seminar last November or not, come explore and learn. All are welcome, no one turned away for lack of funds. Most people ignore death out of fear and/or denial. With Shahabuddin as our gentle loving guide, we will discover the great advantages of accepting that this life will end. Much of our relationship with death is a habit generated by events in our life when we could have benefited from exploring rather than denying, but we weren’t able to use the opportunity. As we explore the habit structures that have shaped our relationship with death, we will heighten our consciousness and our feeling nature, and this will enable us to understand all the minor deaths we go through every day when our fear prevents us from truly feeling. We will also learn the purpose of death, and will thus acquire a deeper understanding of the purpose of life. In addition, we will come to understand the relationship between the birth of the body and the death of the body. This seminar will be entirely experiential, with plenty of work in small groups. Tentative Schedule: Wednesday–Saturday: Shoreline Unitarian Universalist Church — 14724 1st Avenue NE, Shoreline, WA 98155 – 10 a.m.–5 p.m.
Sunday at Wu Hsing Tao School — 4000 NE 41st St., Building D, Seattle, WA 98105 (Laurelhurst district, in the Talaris Center). Half-day; times to be announced. Please write “Shahabuddin” on your check and on the envelope. Shahabuddin David Less is a practitioner of the universal wisdom that shines through all awakened hearts. 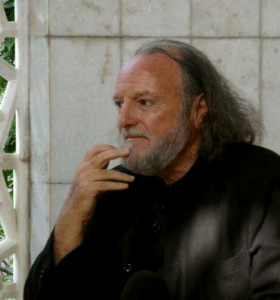 He studied with and received direct transmission from spiritual teachers of many paths, and for nearly fifty years has traveled the world teaching the path of universal mysticism and meditation. He is the founder of Rising Tide International in Sarasota Florida, a center devoted to uniting the hearts of all paths and religions. His teachings on death and dying have benefited hundreds of people in many countries. For over ten years he has guided and supported the peace work of the Abrahamic Reunion, a group of religious and lay leaders of the four monotheistic religions in Israel and Palestine. He is the author of Universal Meditations: A Program for Quieting the Mind (2013), now in its second printing. He was recently ordained in the Swami Order by Sw. Sundaranand of Gangotri into that guru’s parampara (lineage). Shahabuddin brings to his teachings a profound depth of spiritual insight and attunement. He freely shares new insights about the future of our planet as he sees it. He loves people, and his delightful humor, kindness, wisdom and insight benefit people of all ages and situations, from babies and young children to those departing this world. Time with him is always lively and enlivening, uplifting and practical, and often deeply transforming.